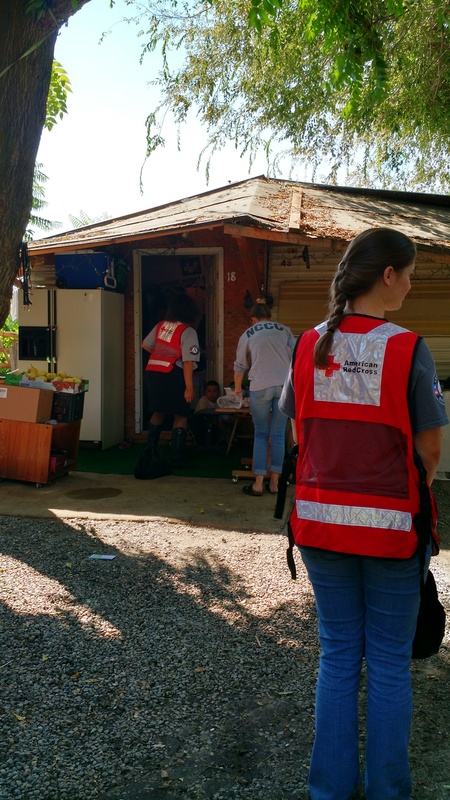 On Friday September 11th, a team of AmeriCorps from the Seattle Red Cross and Intermountain group, led by Olivia MacMaster, partnered together for a Home Fire Preparedness Campaign event in Wenatchee, WA. The Intermountain AmeriCorps team connected with the Red Cross to plan and execute a smoke alarm installation at the Brookside mobile home park. With the support of regional Red Cross headquarters in Seattle, this team was able to visit every unit in the primarily Spanish-speaking community and complete 11 smoke alarm installs. Nancy Thai, Red Cross disaster preparedness specialist, and Abby Walthall, disaster and response AmeriCorps, traveled to Wenatchee to conduct a training and orientation for the Intermountain AmeriCorps group. None of the members of Intermountain had any previous experience with the Home Fire Preparedness Campaign and were excited for this new opportunity. Armed with installation supplies, training and messaging on home fire preparedness, the team of 10 set off for the mobile home park on the sunny afternoon. At the site, the team immediately went to work knocking on doors and engaging with the community. The teams were welcomed by residents who were home. One resident, who was not at home when the team stopped by, went as far as to track them down for an installation.